Information regarding Kingdom Hearts' Aqua, including her Keyblade, voice actor, and her role in Kingdom Hearts' story. Aqua’s story is prominently featured in Kingdom Hearts Birth by Sleep and Kingdom Hearts 0.2: A Fragmentary Passage. 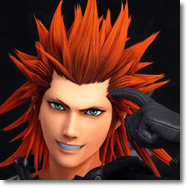 In Birth by Sleep, she sacrifices herself to save her friend Terra, letting herself fall into the Realm of Darkness. She eventually meets King Mickey and Ansem the Wise there, having her hope renewed when she learns that Sora will save her and her friends. In the first Kingdom Hearts 3 E3 2018 Trailer, Aqua was shown emitting a dark aura. Her eyes have also noticeably changed color from blue to gold. 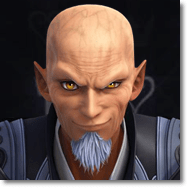 It should be noted that Aqua’s golden eyes may imply a connection with Master Xehanort. 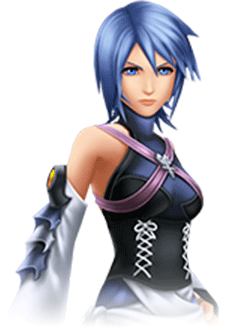 It might also be possible that Aqua has been recruited to Organization XIII, though these are just speculations. 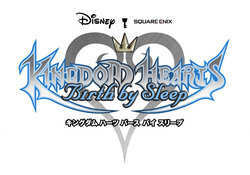 Aqua, alongside Terra and Ventus, are the three protagonists of Kingdom Hearts Birth by Sleep. 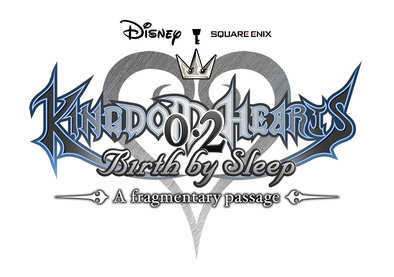 Kingdom Hearts Birth By Sleep’s story begins after the Mark of Mastery Exam is administered by Master Eraqus to his three apprentices Terra, Aqua, and Ventus. Only Aqua managed to pass the exam and become a Keyblade Master. Afterward, Aqua encounters a host of mysterious enemies in search of Master Xehanort and is tasked by Master Eraqus to look after Terra and Ventus. While traveling the different worlds, Aqua encounters Sora, Riku, and Kairi while the three were still children. After saving Kairi from Unversed with Mickey in the Radiant Garden, Aqua unintentionally performs a Keyblade Inheritance Ceremony with the young girl when Kairi accidentally touches Aqua’s keyblade. Aqua also tried to perform the ritual with Sora, but Terra had already done so with Riku earlier, so she changes her mind. After being hurled away by the explosion caused by the X-Blade, Aqua battles Terra-Xehanort in Radiant Garden to free her friend from dark possession. In an act of sacrifice, she uses her armor and keyblade to send Terra back into the Realm of Light. Aqua then descends into the Realm of Darkness. During her journey in the Realm of Darkness, Aqua learns from Ansem the Wise that Sora has been chosen as the wielder of a keyblade. Aqua gains new hope upon hearing that she and her friends will be rescued. 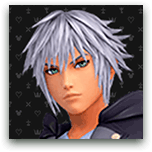 Aqua is the main protagonist of Kingdom Hearts 0.2 Birth By Sleep – A fragmentary passage – as she travels across the Realm of Darkness. She eventually meets Ansem the Wise on her adventure, as seen in the secret ending of Kingdom Hearts Birth By Sleep. As Aqua wanders the Realm of Darkness, she encounters illusions of her friends Terra and Ventus, causing her to long to be with her real friends again. She again encounters Terra-Xehanort as the evil force that possessed her friend from Kingdom Hearts Birth by Sleep reemerges. Aqua also meets King Mickey on her travels in the Realm of Darkness. The tiny noble is caught in a quest to find the Keyblade within the dark world with the hope of sealing the Door to Darkness. The two are ambushed by hordes of Heartless as they approach the Secret Place. King Mickey and Aqua eventually locate the keyblade but are forced to save Riku from a swarm of Heartless. 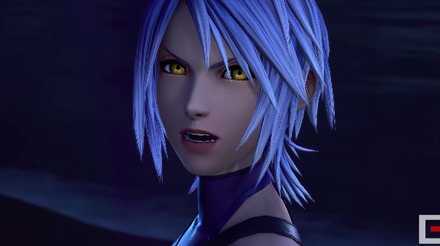 Aqua buys time for Mickey and Riku to escape but is again trapped alone in the Realm of Darkness.